Following a ten-year break from exhibiting locally, KL-born but Singapore-based contemporary painter Eric Chan is ready to come home with a flourish, evident in this aptly-titled 'Balik Kampung' showcase. In his signature style of simulating camera effects, Eric paints a rich portfolio of exotic butterflies, Indian sepoys and slave girls, always with a twist. 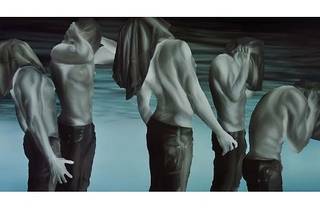 Since kicking off his professional career in 2000, Eric Chan has held exhibitions in Australia, Dubai and London among others, and his works have been auctioned by international auction houses Christie's and Sotheby's.